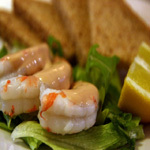 A wide range of bar snacks and home-cooked meals are available every day. We use fresh local produce wherever possible, including vegetables and herbs from our own garden. 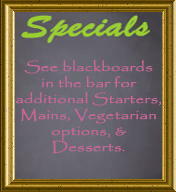 Along with the standard menu, we have daily specials shown on our chalk boards. Also see our boards for sandwiches, baguettes and additional bar snacks.